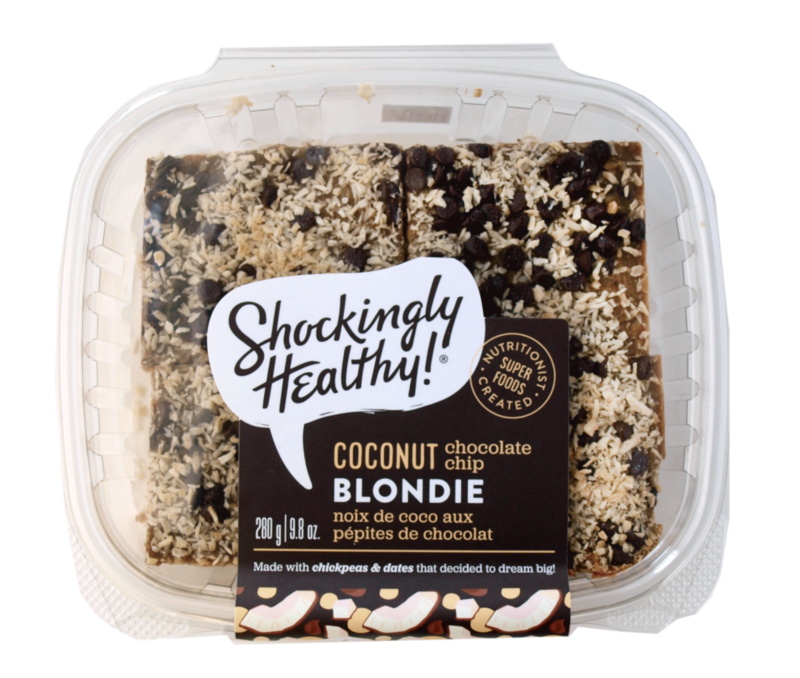 We’re not gonna deny that blondies have more fun! 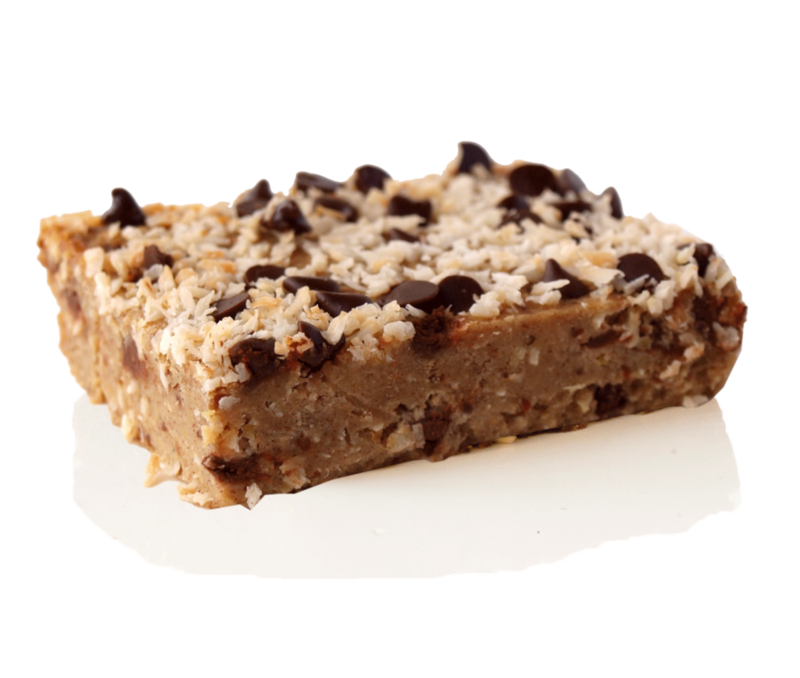 This versatile, scrumptious square boasts a subtle, sophisticated vanilla batter that’s just the right amount of simplicity to suit your breakfast routine, your afternoon snack fix, or your night time cravings for luscious, coconut chocolate- loaded sweets! non-gmo chickpeas, dates, sweet chocolate chips, gluten-free flour blend, almond milk, coconut oil, shredded coconut, ground flaxseed, water, vanilla extract, sea salt. Rich in fibre and help with weight loss and blood sugar management. 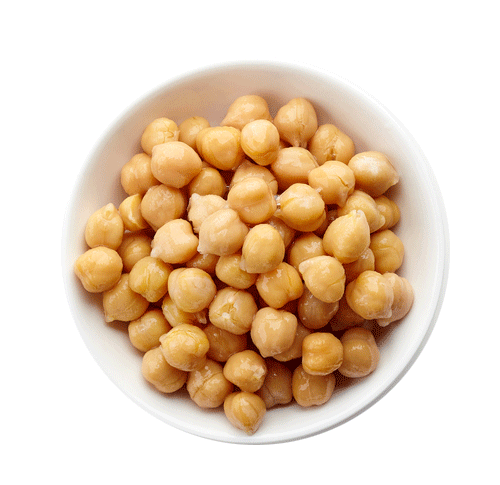 An amazing source of protein, iron and folate. Our main sweetener. Rich in iron, fibre and antioxidants. 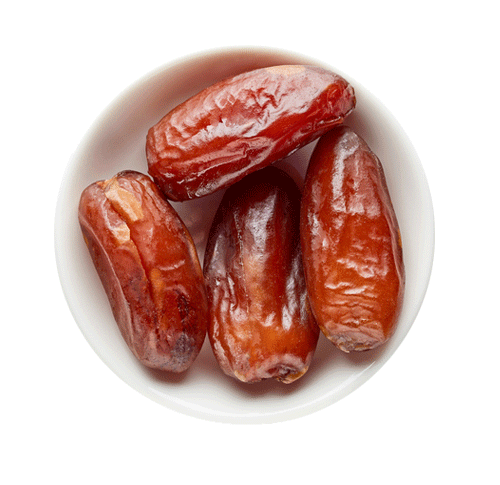 Dates contain selenium, manganese and copper – all minerals that support bone health. A great source of fibre. 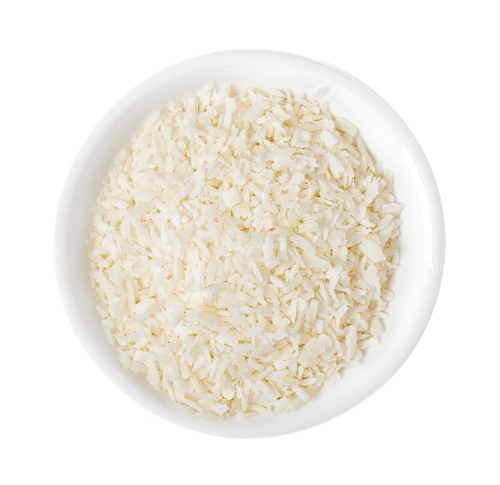 Coconut also helps maintain healthy cholesterol levels, & offers neuroprotective benefits. 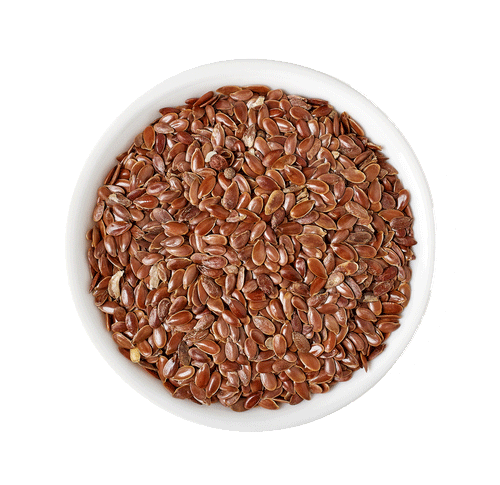 A source of Omega 3 Fatty Acids, which are great for brain power. An excellent low carbohydrate source of fibre, iron, calcium & magnesium. 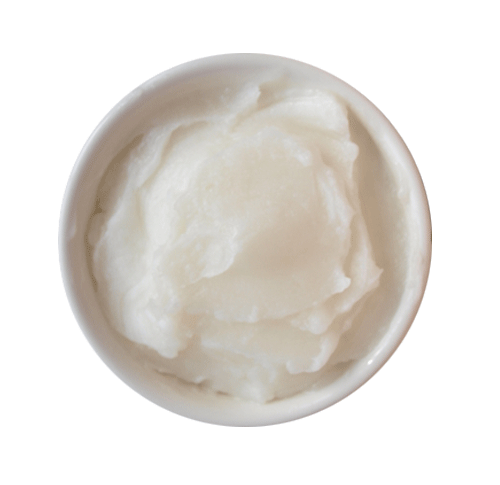 Helps give you beautiful hair and skin. 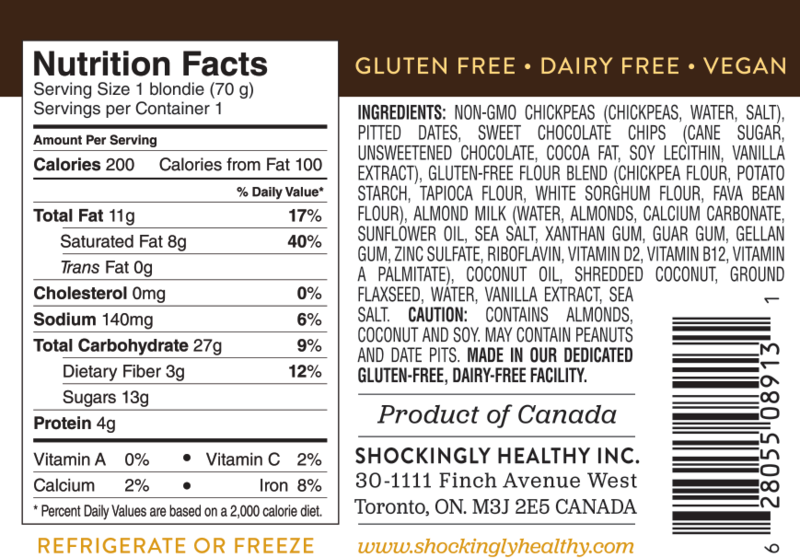 Contains medium-chain triglycerides (MCTS) that are easily burned for fuel. Naturally antimicrobial and antibacterial. 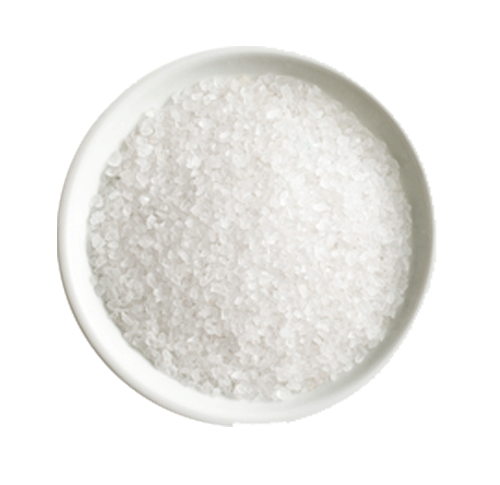 A source of magnesium, which helps relax nerves and relieve tension. 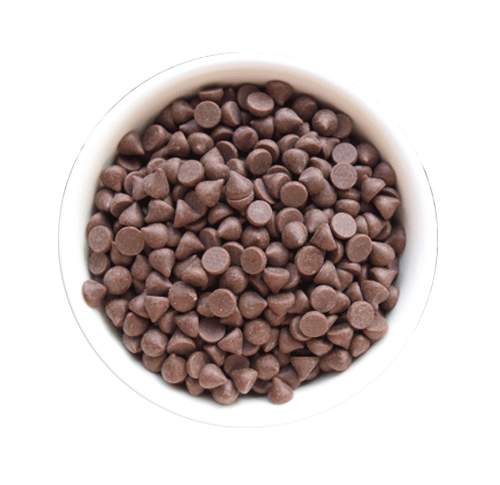 Dark chocolate also promotes blood flow and fuels brain power. A powerful anti-inflammatory and a natural source of electrolytes. Helps maintain healthy blood pressure and blood sugar.